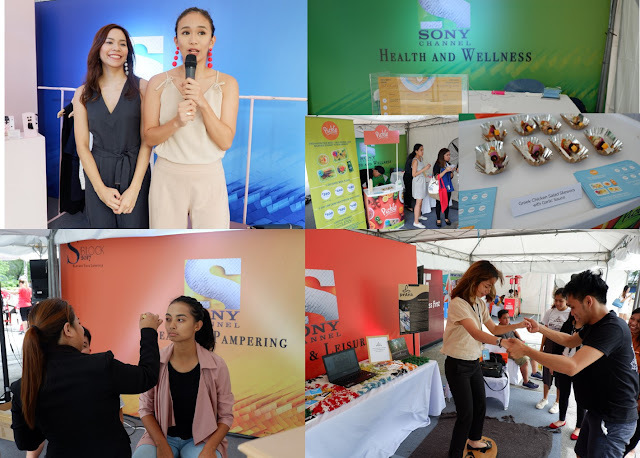 Sony Channel’s S-Block 2017 event treated the modern woman to two days of pampering for three weeks in an expo for working ladies that featured activity booths, stage games, raffle prizes, freebies, and a variety of other fun-filled activities. 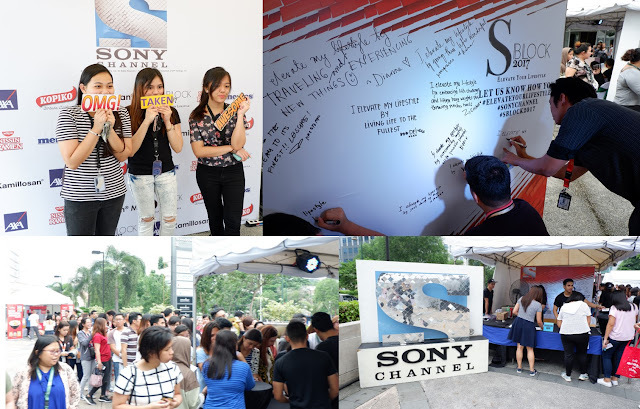 This year, the event was held on September 28-29 at Science Hub 2 in McKinley Hill, Taguig City, on October 12-13 at Ayala Technohub in Commonwealth, Quezon City, and on October 26-27 at Central Plaza, Eastwood City Walk in Libis, Quezon City. The activities were divided into four blocks, representing women’s interests to personalize services to thousands of attendees who made time to enjoy the event. At the Beauty & Pampering Block, activities included eyebrow grooming, express makeup makeover and massage service, and skin and beauty consultation. At the Fashion & Styling Block, fashion experts gave one-one-one consultations on personal styling from day to night and from work to leisure activities. For the health-conscious, the Health & Wellness block provided fitness assessments, tips on the latest workout and health trends, and alternative food preparation such as nutritious and yummy food delivery. Finally, women were treated to calligraphy lessons, travel and adventure advice, and tarot card reading at the Hobby & Leisure Block. After a whirlwind of whole day activities, women were treated to a wine-down, a time to enjoy the cool (or hot) night where drinks were served.